The linen stitch is a fun and easy stitch to work up. It looks especially great with multi color stripes or variegated yarns and is totally reversible. Included in this tutorial is a step by step photo tutorial and a full video tutorial which includes how to change colors too! For this tutorial I used a G (4.0 mm) hook and some worsted weight yarn, but you can try any yarn you like! 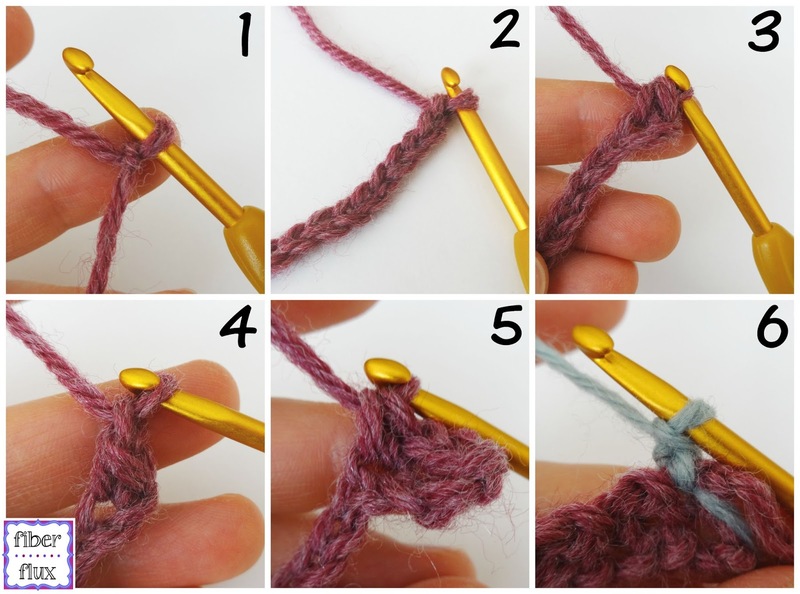 Step 1: Begin by putting a slip knot on your hook. Step 3: Work a single crochet in the second chain from the hook. Step 5: Skip the next chain, and in the chain after that, work a single crochet. Repeat steps 4 and 5 until you reach the end of the row. 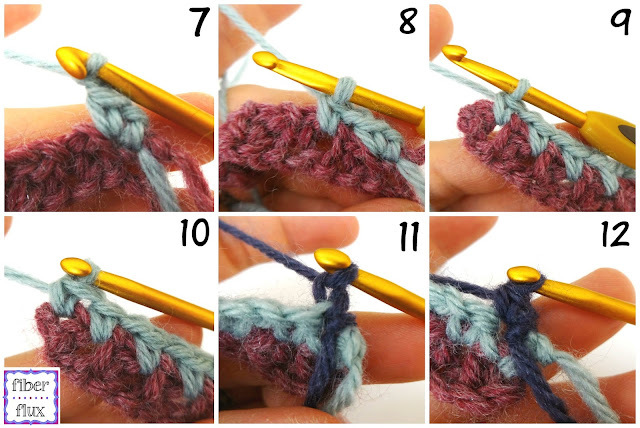 Note: If you want to switch colors before moving onto step 6, fasten off and tie on a new color. Step 6 (row 2): Chain 1 and turn. Step 7: Work a sc in the first st. Step 8: Work a sc in the first ch 1 space (from the previous row). Step 9: Ch 1, then work a sc in the next ch 1 space. Repeat step 9 until you reach the end of the row. Step 10: Work a sc in the last sc. 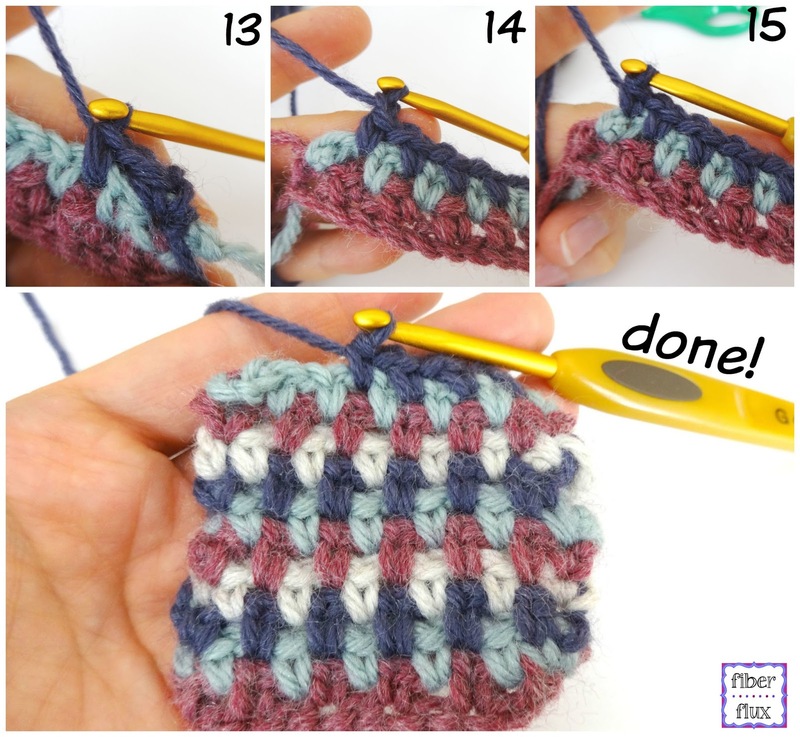 Step 11 (row 3): Tie on a new color yarn (if desired), ch 1 and turn. Step 12: Work a sc in the first st. Step 14: Repeat step 13 across to the last ch 1 space. Step 15: Work a sc in the last sc of the row. 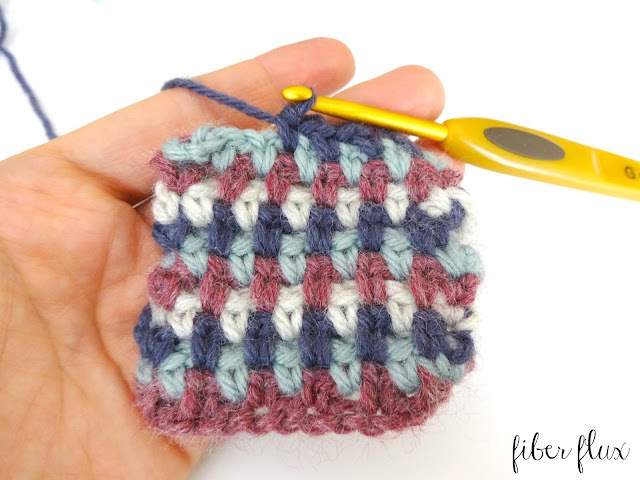 Click below to crochet along for a full video tutorial!